At Magnet, we genuinely care about treating our customers fairly. We don't bump your price up at renewal (in fact we charge our exising customers LESS than we charge new customers) and we don't charge fees for mid-term adjustments. Unusually for a customer of an insurance company I have remained a Magnet customer for around 10 years. I have always been most impressed with the friendliness and professionalism of call centre staff . I like the fact that existing customers get better rates than new customers . It is good to see customer loyalty being rewarded. The policy seems clear and gives me excellent cover for my needs. We are all busy people and we don't have time to mess about with insurance even with the use of comprison sites, I just wanted insurance in plain English and hassle-free. Magnet delivered on it all, were the best "value for money" and the documents arrived quickly. Sorted! Great Job! So many other companies could do with your approach. Renewal came early enough to check other company prices, very competitive and very good house insurance premiums. Renewed with Magnet again. How pleasant to deal with an insurance company that does not try and rip you off at renewal time. They write to you beforehand and offer a deal which is competitive and what I had required. When I checked on comparison sites they were indeed. When I phoned with a query they offered me a solution in a pleasant manner. All went smoothly and efficiently. 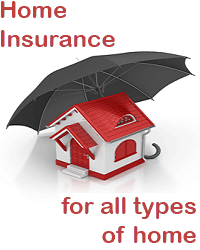 Very good price for house insurance. Our reviews are gathered by the independent market research company Working Feedback. You can click here to see all recent reviews.